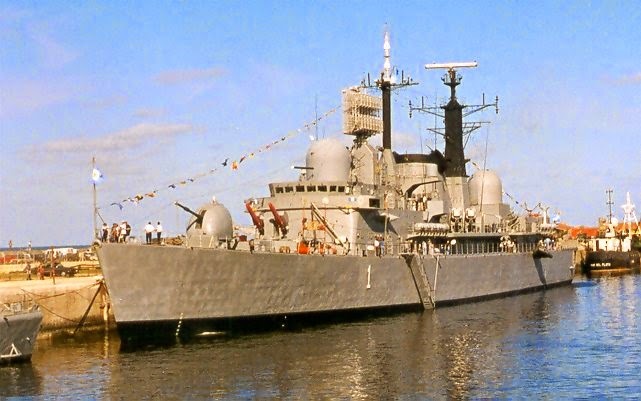 The ARA Hércules, a Type 42 Batch 1 (Sheffield class) was built almost in parallel with the leading ship of the class HMS Sheffield (D-80), that would later be sunk together with another ships of the class, the HMS Coventry, by the Argentine naval aviation during the Falklands Conflict on May 4th, 1982. After following sea trials and systems, the ARA Hercules joined the Navy in September, 1977. 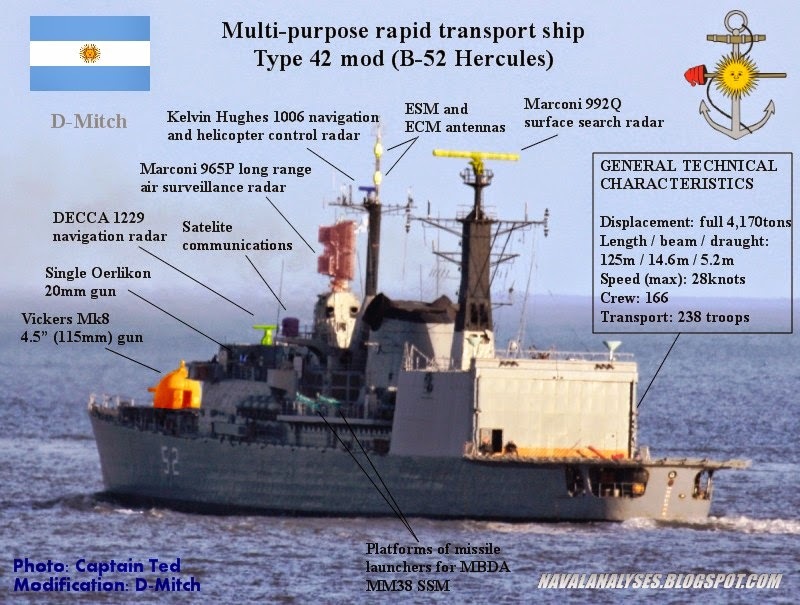 Back in the day, Type 42s gave the Argentine Navy comprehensive capacity management in a air combat, becoming the first navy in South America to operate such a complete and advanced system. Its Sea Dart missiles were capable of hitting targets at high altitude and great distance. The destroyers of this class and batch have a full load displacement of 4.100 tons, length of 125m, beam of 14,6m and draught of 5,2m. The maximum speed is 28knots while the ship can achieve a range of 4.000nm at 18 knots. 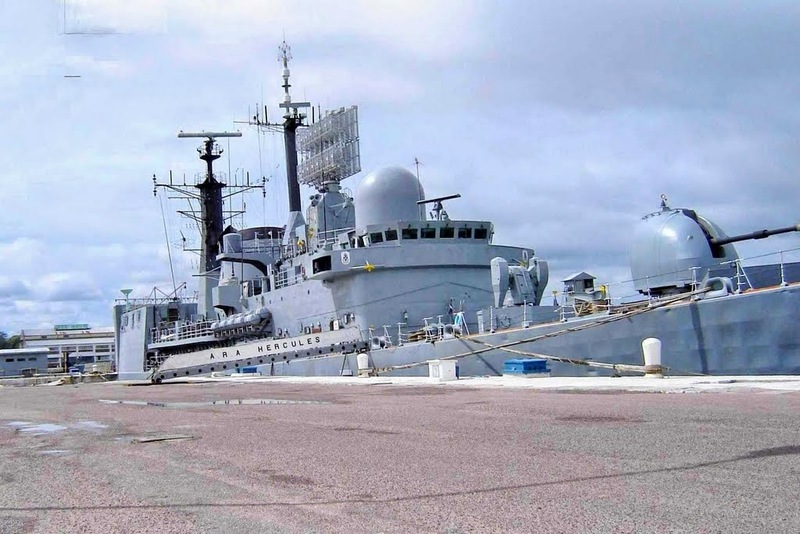 As a destroyer, the ARA Hercules was originally armed with one Vickers Mk8 4,5” (115mm) naval gun with a maximum firing rate of 25 rounds per minute and a firing range of around 22km for surface targets and 6km for anti-aircraft role, one twin-launcher for Sea Dart missiles (GWS-30) with a range of 54km and a speed of greater than Mach 2.5 and two triple 324mm torpedo tubes for Whitehead AS-244 torpedoes. In 1980 it was decided to relocate some of the life rafts and to place on each side two single missile launchers for MM-38 Exocet anti-ship missiles with a range of approximately of 42km. Thus, the ARA Hercules was also endowed with an appreciable capacity ASUW, enhancing its capabilities. With this configuration of weapons and mission, the D-1 served the Navy until the mid-90s. During the Falklands War she escorted the carrier ARA 25 de Mayo with her twin, the ARA Santísima Trinidad, and it also acted as “target” for naval aviation pilots who operated the newly received Dassault Super Etendard aircrafts, providing training for attacks under the Royal Navy´s Type 42s threat. Neither the ARA Hercules nor the ARA Santísima Trinidad would see further action during that war (other than both of them “illuminating” a Sea Harrier with its Type 965 radar, which was trying to intercept a S-2 Tracker, however the Sea Dart launcher failed and the plane escaped), and would suffer greatly after the British spares embargo that took place. 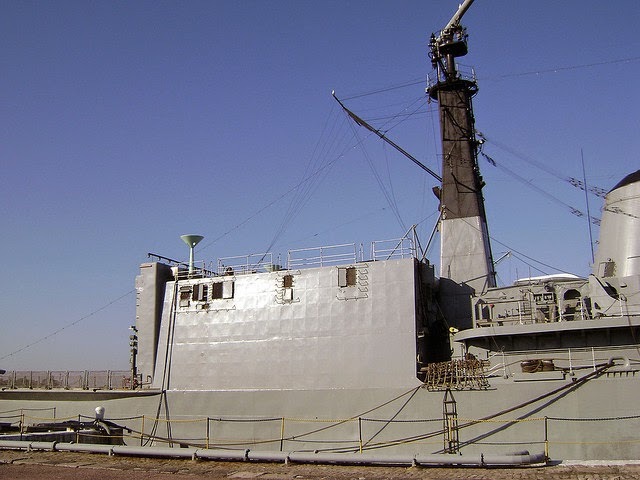 ARA Santísima Trinidad would end its days serving as a source of spares for ARA Hercules, being currently lying on her side, sunk at her moorings pierside in the Argentine naval base of Puerto Belgrano. 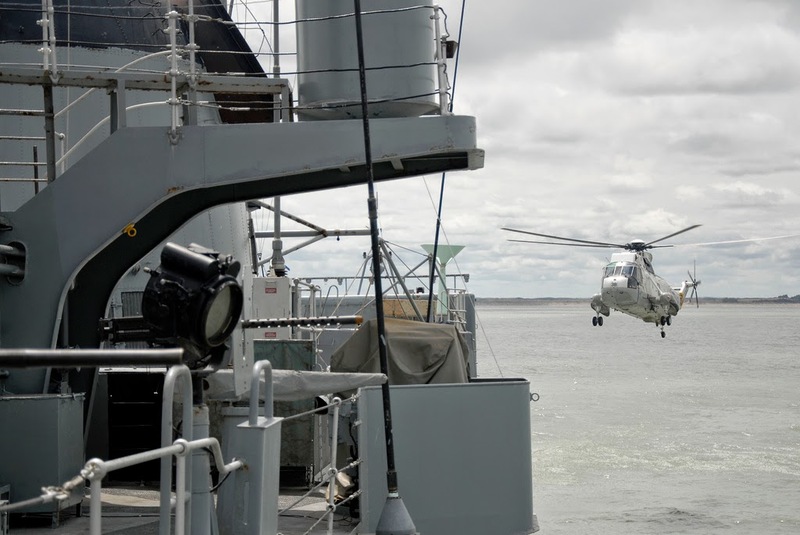 Due to the British embargo the ordered Lynx ASW helicopters were cancelled leaving the ships with the obsolete Alouette helicopters. Two years after the end of the conflict the ships were put up for sale but no buyer was found. 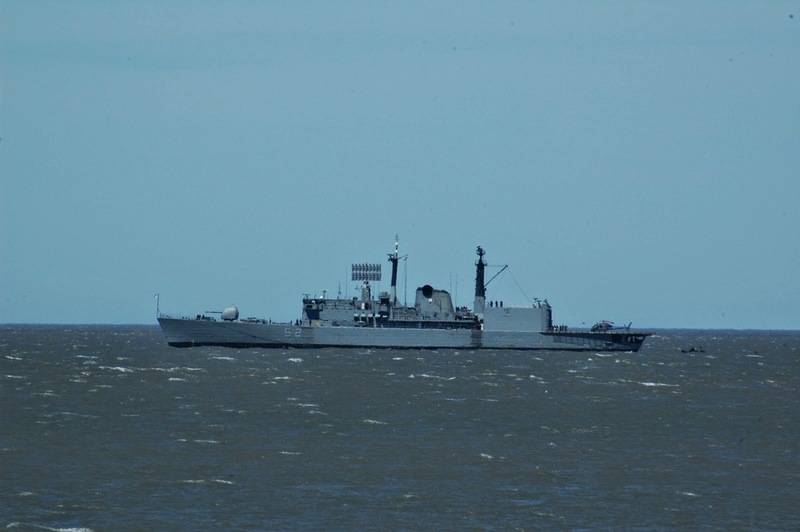 In the mid 90s the Navy decided a change of role for the ARA Hercules, mostly due to the progressive obsolescence of electronic equipment, (specially those systems associated with Sea Dart GWS 30 which were out of service by then (last successful firing was in 1987), as well as for the lack of a dedicated amphibious ship. 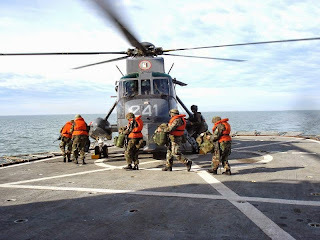 They also considered the need to operate Sea King helicopters from its flying deck, being that the reason why they decided, among other changes and upgrades, to modify the hangar and flight deck, and giving a new destiny to the inner areas formerly used for Sea Dart storage. All those changes would lead to a pretty particular Multi Purpose Rapid Transport ship (essentially a LCC) and thus a new code was assigned to the vessel (B-52). 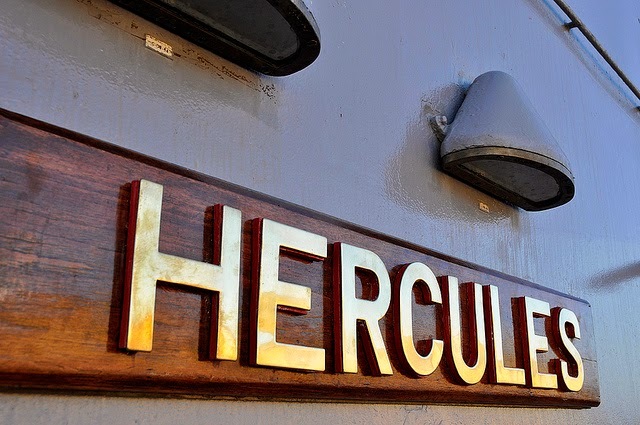 As part of cooperation agreements between the Chilean firm ASMAR, ARA Hercules sailed in late 1999 to ASMAR Shipyard in Talcahuano, where it would remain for about 8 months until June, 2000. Modifications involved substantial increase of the hangar and flight deck, enabling it to operate two Sea King helicopters (instead of the original Sea Lynxs) as well as to storage two of these helicopters. 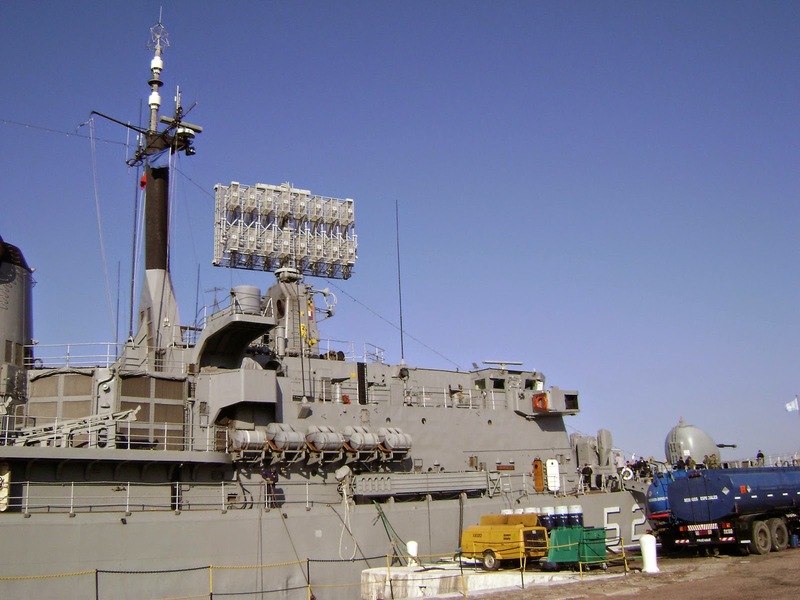 The work also involved changes in electronics, systems, ventilation, removal of the aft Type 909 tracker-illuminator radar (recently also the front one), the torpedo launchers etc. The Sea Dart launcher was not removed until recently which was not operational for many years as we already mentioned. Once ARA Hercules returned to Argentina they kept on working on it by including a domestically designed-and-built hangar door, way bigger than the original, developed by the Argentine firm INVAP. The new hangar door is about 6 meters tall and 12 meters wide, being able to operate under rough sea conditions, and providing NBQ capabilities. The minimum speed for opening or closing is 1dm /s and a maximum aperture in manual mode 5 min, under conditions of roll, pitch, permanent heeling and pressure from extreme winds. 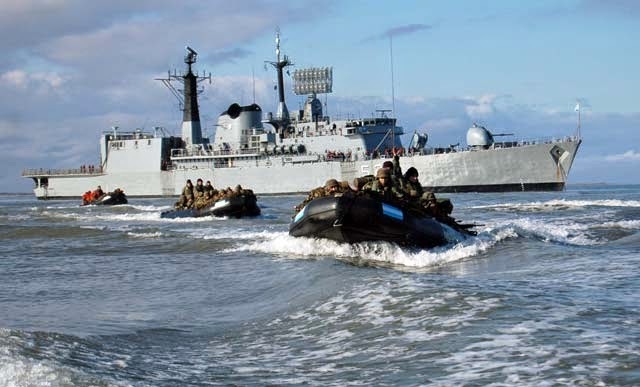 The removal of the Sea Dart system allowed to host up to 150 marines in the vessel (238 troops in total and 166 crew), as well as to include Zodiac boats were the Exocet launchers were located. It´s important to notice that although she does not carry MM-38s anymore, it still keeps the missile beds. Further improvements in electronics will take place. 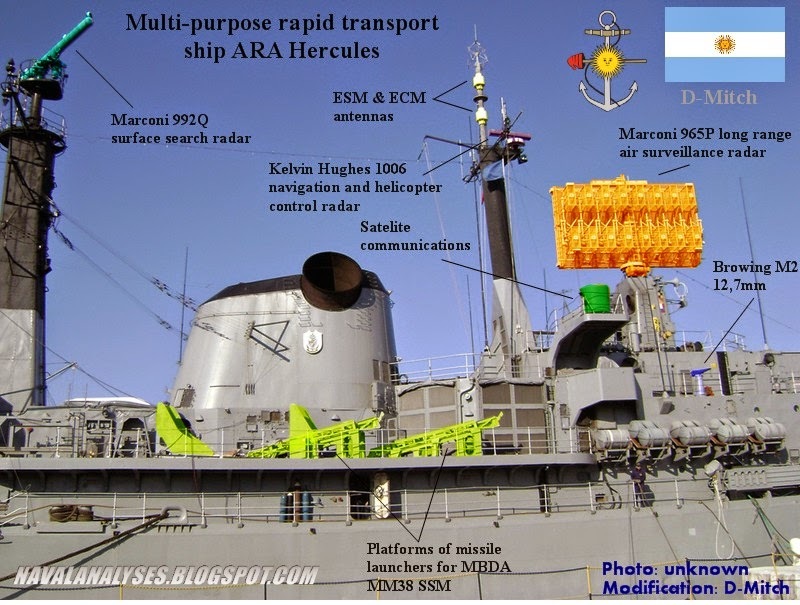 ARA Hercules´s current capabilities differ greatly compared with its original design. 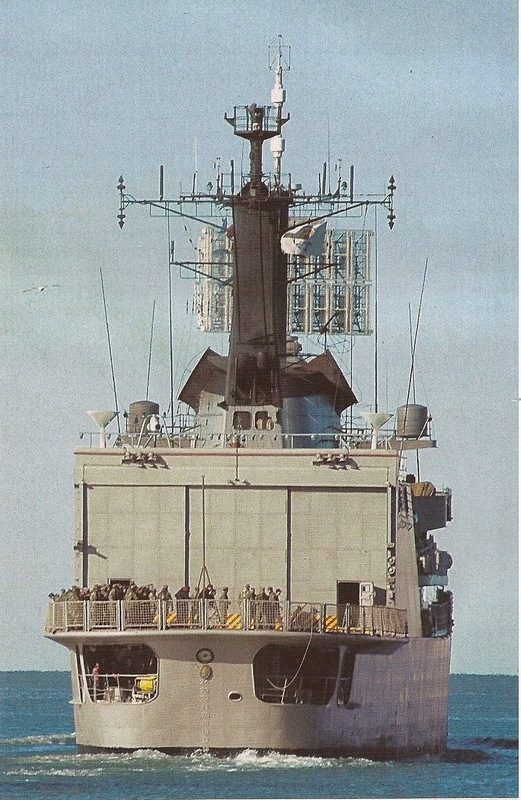 Its air defense role was completely modified by losing the Sea Dart launching capability (and therefore, its key asset), lacking also the means for anti-ship warfare with the exception of the two Sea King helicopters she carries that have the ability of launching AM 39 Exocet anti-ship missiles. 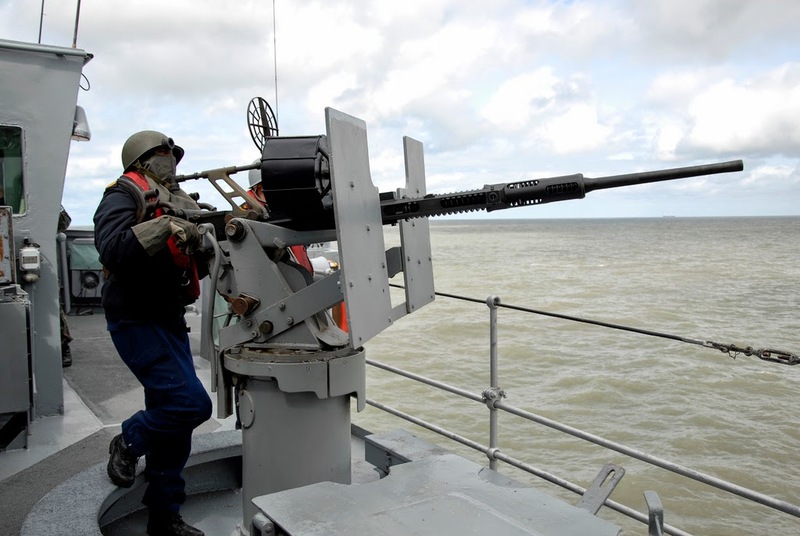 Even though the operational status of the 115mm gun was debatable, in recent years it has being used again during landing practices, providing naval fire support. In the current equipment are included two Oerlikon single-barrel 20mm guns, two Browning M2 12,7mm heavy machine guns and RBS 70 MANPADS for air-defense. The electronic equipment includes a SITAC (Tiempo Real - SIAG 2005 / 2006) data link (some sources detail a Plessey-Ferranti Adaws-4 as data link, though), a Marconi Radar Systems 965P long range air surveillance radar (110NM range) with integrated IFF, a Marconi Radar Systems 992Q surface search radar (53nm air search / 17nm surface search), a Kelvin Hughes 1006 radar (navigation, helicopter control), a Decca 1229 navigation radar (30nm range), a Graseby 184 M active/passive sonar (search and attack) and a Type 162M active sonar; likely both sonars inactivated. Other electronic equipment includes an RDL-257 Electronic Support Measures (ESM), a Racal RCM-2 electronic jammer and two Corvus chaff launchers. Thank you very much for your kind words Jeff!